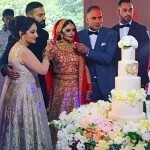 Asian Wedding Cakes Derby Nottingham. Asian wedding cake styles are changing with the times. Though many couples still opt for the elaborate colours and styles, we are seeing more and more orders that blend the traditional Asian style and design with the Western style wedding cake. 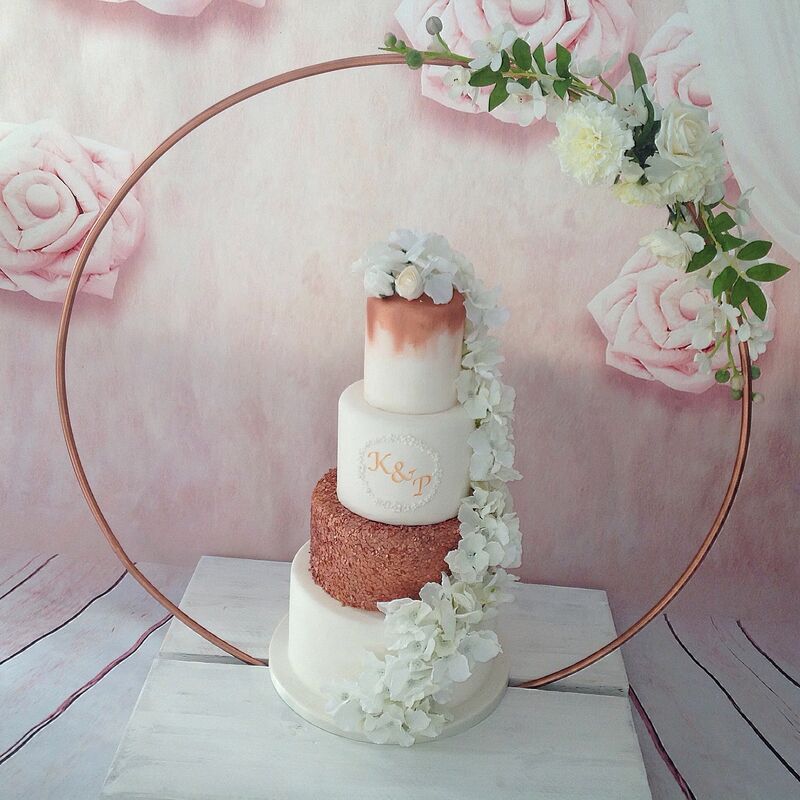 Kimboscakes provide quality fresh baked cakes for Asian Weddings. 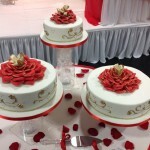 We have been providing all types of Asian wedding cakes over the years. These range from traditional simple western style, to the more elaborate. We work with all our couples to acheive the desired look and effect. 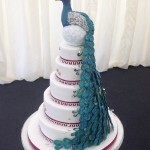 Our Asian wedding cakes have ranged from three tiers up to and including thirteen tiers or more. 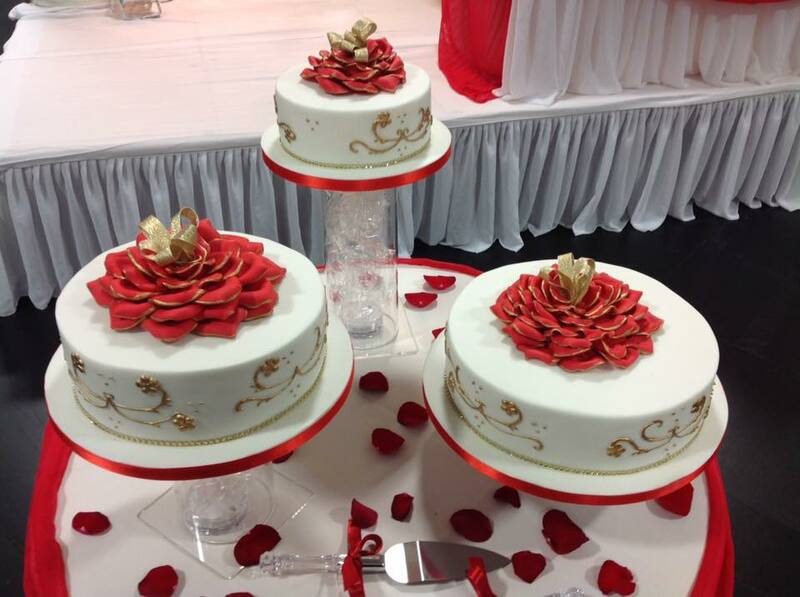 The cakes that we provide for Asian Weddings include a wide range of flavours for both Egg Free and Halal. Though we cover the Derby and Nottingham areas, we also travel further afield. 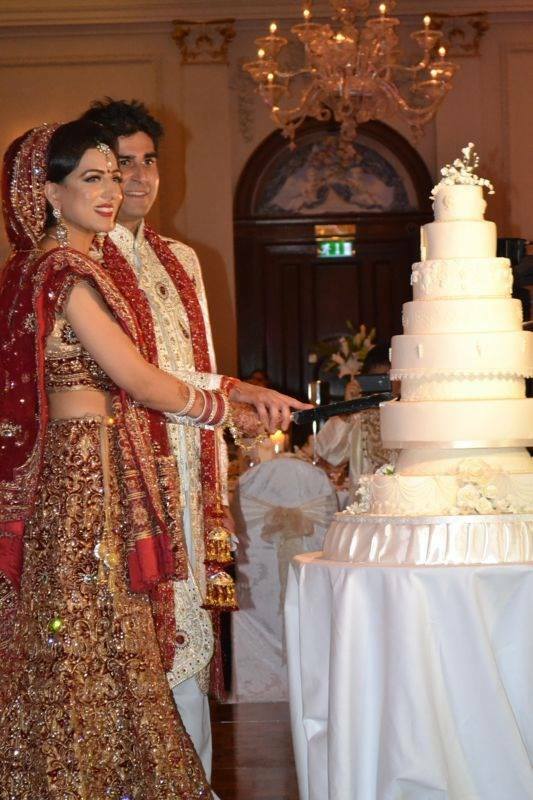 One of our most memorable Asian Wedding Cakes was setup at the Langham Hotel in London. (View Langham Hotel Website here). 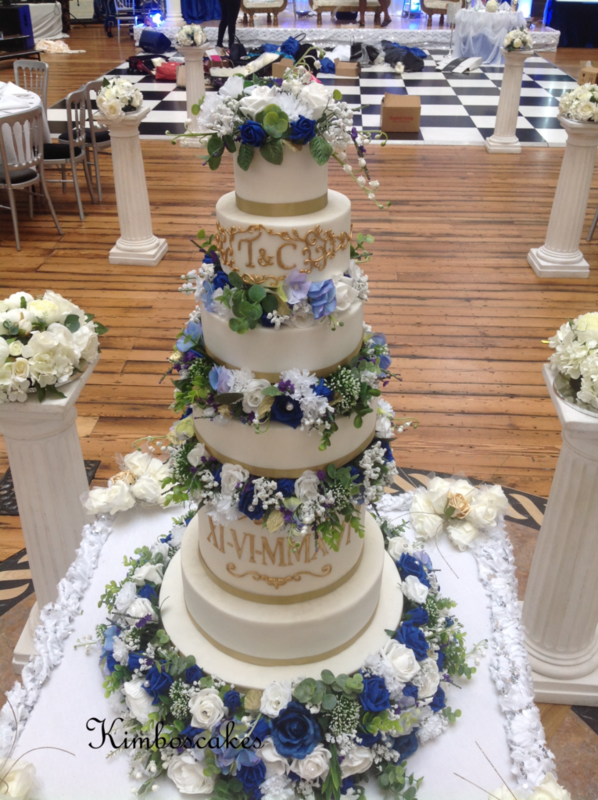 This particular cake, (as shown), is 9 tiers in height and consisted of a total 12 tiers. There was a complete mixture of flavours for all the guests to choose from. We pride ourselves in providing quality cakes before price. Most Asian Weddings cater for a large number of guests. With this in mind, an Asian Wedding can be quite costly. When it comes to the wedding cake, we always do our best to work within a sensible budget. Lately we have seen an increase in the request for gold & silver coated tiers. These are then blended into the designs of the cake. This has also included mehndi designs overlayed on top of the glod or silver. Other favourite colour choices include deep blue and red together with white. Our cake flavours are also very popular. We have over 40 different cake flavours for you to choose from. For each of our cake flavours we use real fresh ingredients. For a full list of flavours please click here. These range from Mango and Cardamom through to Passion Fruit, Mango and many more. Kimboscakes get recommended by many of our happy couples. We are also recommended by suppliers and venues for Asian Weddings. Even guests who have seen our cakes at a friend’s wedding recommend us. Not only for our quality and taste of our cakes, also, for our attention to design and detail. We also allow for the fact that most Asian weddings rarely run to schedule. Many times, we arrive and work with suppliers. We have a good working relationship with them. Especially when it comes to waiting for a dance floor. 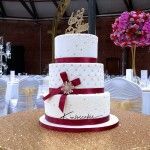 At Kimboscakes, we know a consultation may be either the Bride and Groom or with other members of the family. We welcome you to relax and enjoy your consultation in the comfort of our own home. We prepare our samples to order for each consultation. We make our samples 48 hours in advance, so you get a real feel for how your wedding cake will taste on the day. 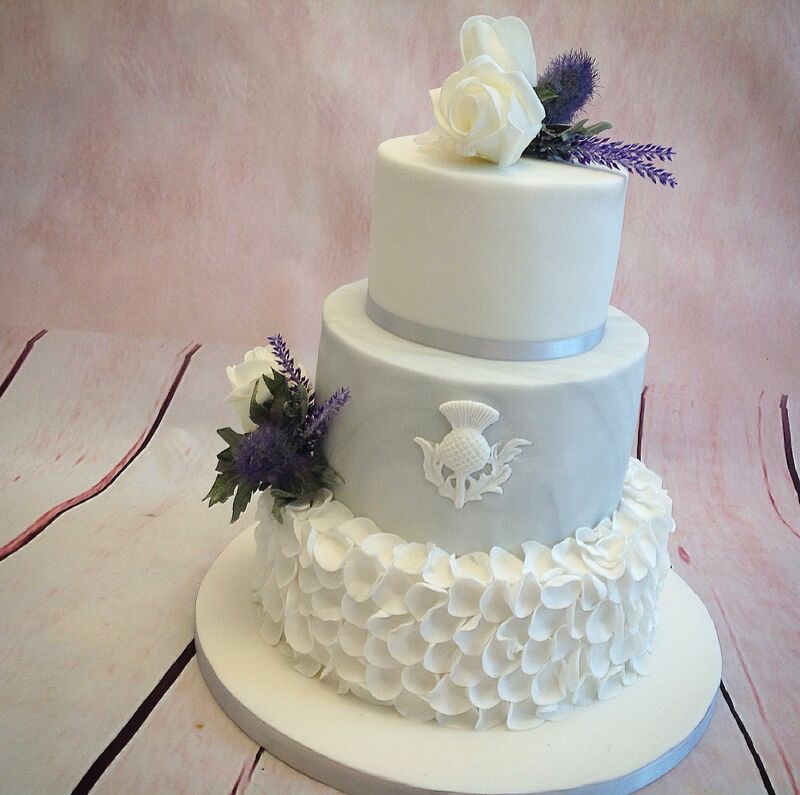 All our cakes get baked and decorated no more than 72 – hours before your wedding day. To ensure total freshness of your cake, we will work on the decorating of your cake, from the time it has settled. We always use fresh fruit, such as, Lemon, Lime, Orange, Mango and much more. 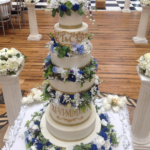 All our wedding cakes are then decorated/coloured by hand. 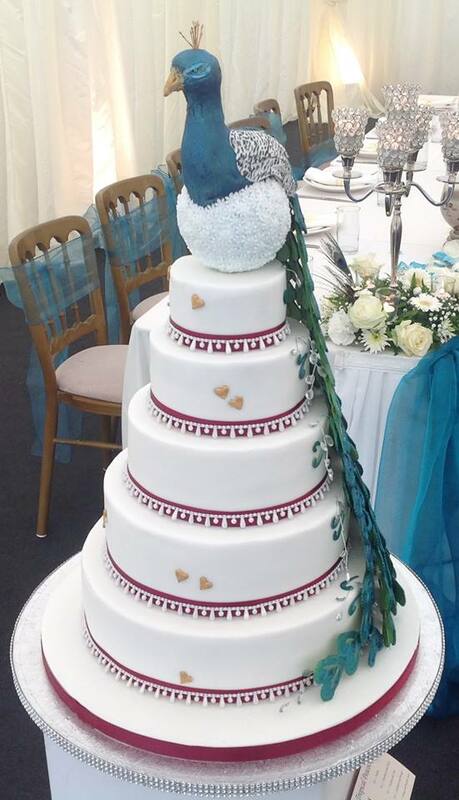 See some of our wedding cakes here We are also on Facebook and other social media sites. Every cake is different and unique in its own way. You will find we are very well priced. We know that everyone has a budget in mind. Providing there is a sensible budget, most couples find our pricing is within range. Many times less than what they think. 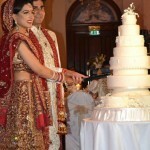 Please feel free to contact us for Asian Wedding Cakes Derby Nottingham (Or other areas). You can do this either by using our contact form here or call us direct on 01158 24 00 44 between 11:00 and 17:00. We look forward to hearing from you and being a part of making your special day memorable.